MARQUETTE — The Northern Michigan University basketball programs are hitting their stride at the perfect time of the season. 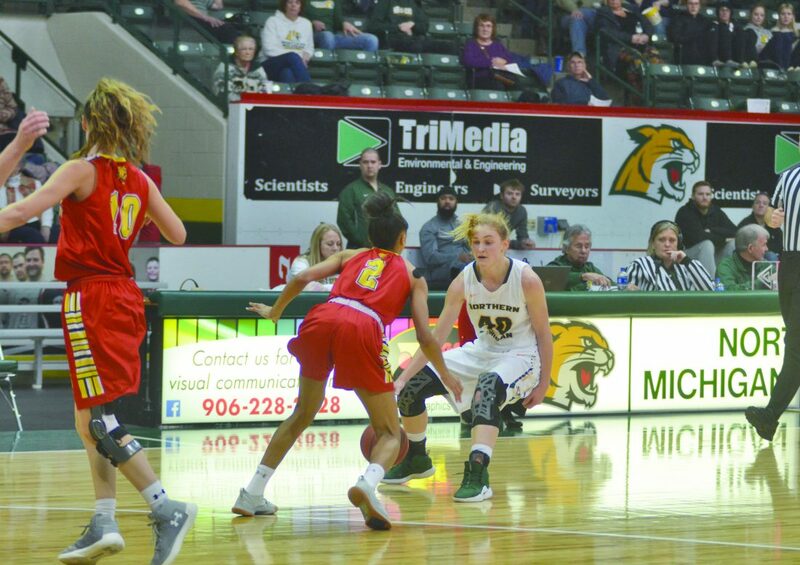 The NMU women have won their last four games, while the men ended a six-game skid with two wins last week over Davenport and Grand Valley State. Now both squads face Michigan Tech on Saturday with the women (14-4, 9-1 GLIAC) getting a chance to extend their first-place lead over the Huskies in GLIAC North Division. The game with the rival Huskies also means a lot to the men’s teams. While the NMU women are trying to maintain their spot atop the GLIAC, the Northern men are trying to climb the standings. The Wildcats (10-7, 5-5) are in fourth place in the North and a win could vault them into second place, while a loss would leave them tied with the Huskies in a tie for the No. 4 spot out of six teams. The Wildcat women definitely have some bragging to do right now as they’re coming off an upset of now-No. 15 Grand Valley State. NMU head coach Troy Mattson felt that his team made progress with that win. The Wildcats could take an even larger step forward against Tech, even as the Huskies (11-7, 7-3) may not quite be at the same level as the Lakers. MTU has been hit hard by injuries and if Northern was looking for a time to take down their rival, this would be it. However, Mattson still sees the Huskies as a formidable opponent despite their health issues. “They have gotten themselves organized and coach (Sam) Hoyt has done a really good job of that the last couple of weeks,” he said. “It’s kind of like what we did (last year). “We went through a same situation and we got ourselves organized the last five or six games of the year. We made a run and got ourselves into the (GLIAC) tournament. I can see their team doing the same. “They’re doing a really good job out there in both aspects, the defensive end and the offensive end. We’re going to have to be able to combat that. “At the end of the day, somebody is going to have an extra win in the win column and somebody is going to have an extra loss in the loss column. Whether we play Lake Superior (State), Ferris (State) or Davenport or Grand Valley, it’s the same. The Northern men are also trying to keep things simple, because that’s what they had to do to get out of their skid. “We feel pretty good,” Echols said. “Any time you get a win, especially two in a row in the GLIAC, is pretty impressive. We’re just trying not to get too high right now because we’ve seen how things can quickly turn for us. The men’s game will be a little different than other games Northern has played, not just because it’s against the Huskies, but because Tech (9-8, 4-6) is missing two key pieces of its offense in Kyle Monroe and Tommy Lucca. 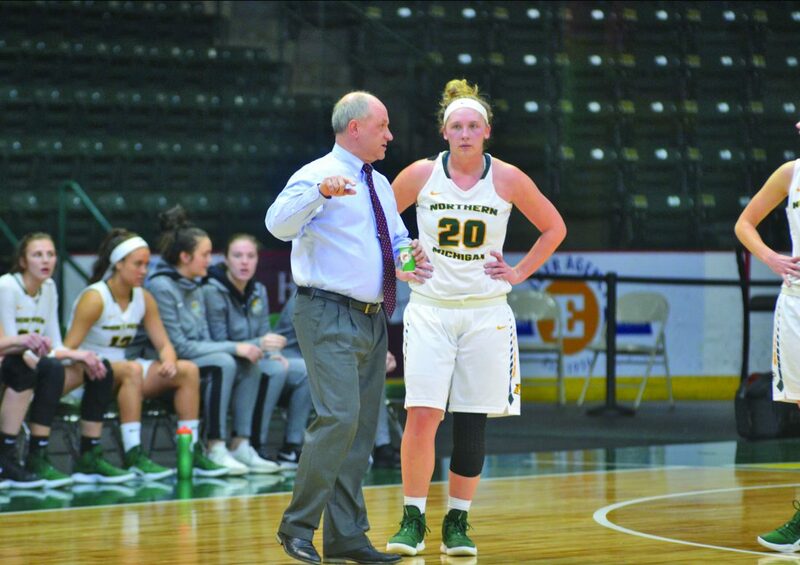 As a result, MTU is last in the GLIAC in points per game (65.4), but in a way, NMU head coach Bill Sall sees the Huskies as an improved team and said his team needs to be locked in when the ball is tipped. “Those are two really good players (Monroe and Lucca),” he said. “It’d be similar to us losing Naba and Isaiah (Johnson), but (coach) Kevin (Luke) has done an incredible job. “They’ve got a team that because of that lack of offensive firepower, have done a great job of really bonding as a team. They play incredible team defense and they’re amazing on the glass. You look at these games and we see them play a lot because they’re a travel partner. “They’re down early and they just scrap and battle. Those missing pieces, I’m not going to lie, it’s a different team, but in the same breath, they’re some ways a better team. It’s a team that’s more cohesive and a team that’s really is committed to each other. “These games still come down to the team that can be more physical. The team that can own the paint, the team that is able to withstand the ferocity of play and kind of still play at a little bit higher level. The women’s game tips off at 11 a.m. and the men will follow at 1 p.m.